If you are looking for an Italian translator, you’ve come to the right place! Translating does not mean just converting a text from a language to another. In fact, it implies also adapting the contents to the linguistic and cultural systems as well as taking into account the expectations of the target market. As you can gather from the name, translations play a major part in our business: JUSTranslations provides professional Italian translation services enabling you to communicate effectively while paying attention to details and confidentiality. We mainly translate from English to Italian but, thanks to a cooperation with a team of qualified translators, JUSTranslations provides reliable and professional translation services in other language pairs as well. By choosing us for your Italian translations, you’ll be sure to get accurate and professional translation services thanks to an extensive experience gained over the years and a commitment to customer satisfaction. Every translation assignment has its own specific requirements. Please fill out the form to receive a free and personalized quote or get in touch for more information. Please note that JUSTranslations can assist with larger projects and other languages. Art, literature, history, music, cinema, design, fashion, food and wine are just a few words that may call to mind Italy. 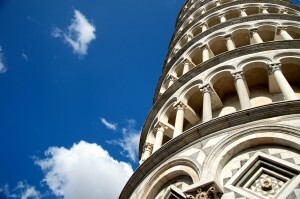 Italian is spoken by about 63 million people as first language in Italy, San Marino and Vatican City. It is also recognized as an official language in Switzerland, Croatia, and Slovenia. Italian represents a valuable linguistic tool for international business, culture and fashion…that’s why it is the fifth most taught language in the world! Italy is the 8th-largest economy in the world and the third-largest in the Eurozone in terms of nominal gross domestic product with manufacturing, export and tourism sectors playing a key role in the national economy.